At Harwood Park we welcome all faiths and our chapel has a removable cross that can be replaced with another symbol. 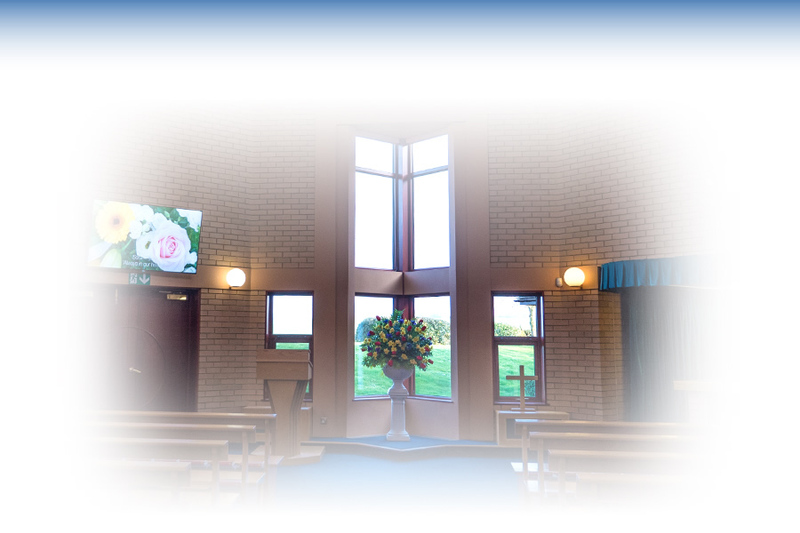 The chapel has been designed to bring a calm, peaceful atmosphere to the services held here. A high ceiling fills the room with light, while the large window at the front of the chapel looks out onto the distant parish church and surrounding fields. We’re sensitive to the fact that, for some people, it can be upsetting to have the coffin in full view during the service. With this in mind the catafalque – the raised dias that supports the coffin – has been positioned to the side so it doesn’t dominate the eye line. We’ve also added helpful touches, such as a hearing loop for those with hearing difficulties and a large plasma television for displaying images or a slide show. The chapel has room for 80 people on pew-style seating and can accommodate 150 using the standing area in the lobby. Services can be relayed to the waiting room and outside via a loudspeaker. To make an appointment to view the chapel, please contact us on 01438 815555.